BrightPay can produce a P11D & P11D(b) to send to HMRC after year end which includes your Class 1A NICs declaration and details of the expenses and benefits provided including cash equivalents. 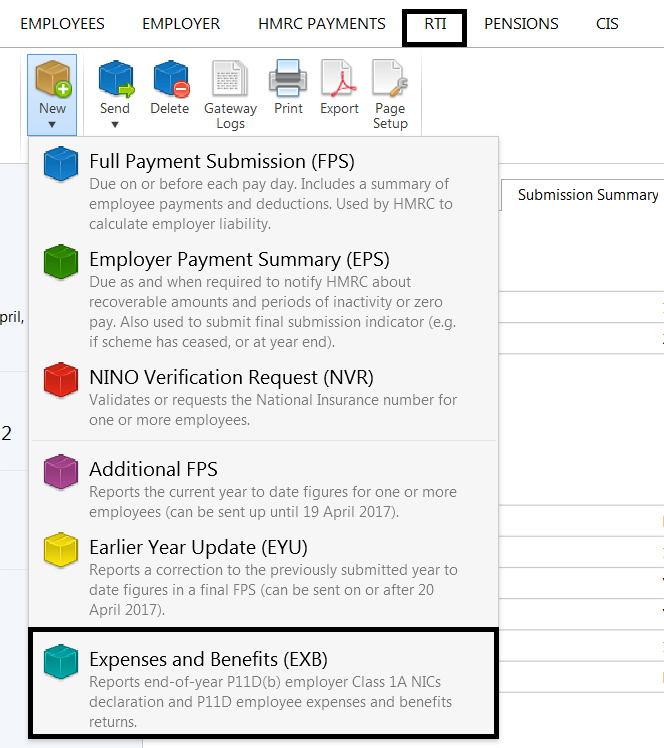 The form P11D provides information of benefits & expenses provided that were not payrolled. 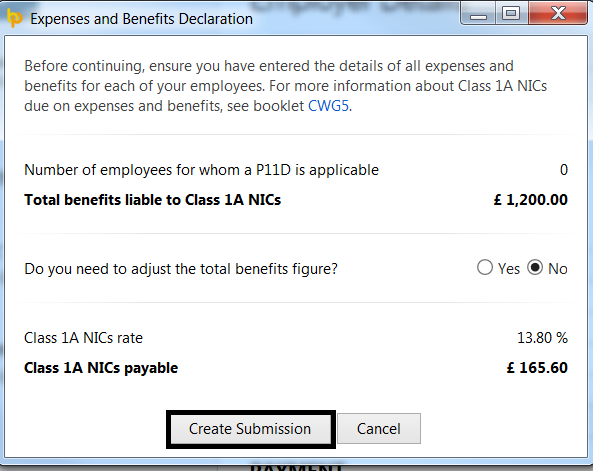 The form P11D(b) is used to declare the amount of Class 1 NICs you are due to pay on benefits and expenses for the year.